On the night of Saturday, August 11 and well into the next day, Earth will make its annual passage through the bulk of the debris shed by a comet known as Swift-Tuttle. Much of the debris is composed of dust-sized grains, but when these fragments come plunging into our atmosphere they can create a dazzling meteor display. Not only are the meteors fascinating to watch, they also leave short-lived streams of ionized gas in their wake. As hams have known for years, these meteor trails are excellent reflectors of radio waves. The Swift-Tuttle meteor showers are known as the Perseids because they appear to come from a point in the sky that lies within the constellation Perseus. This year's Perseid meteor shower occurs when the Moon is at a waning crescent phase, which means bright moonlight won't diminish the number of visible meteors. According to Spacedex.com, the lack of bright moonlight means that the fainter meteors should not be concealed from view: "It is advisable to observe the meteor shower during the predawn hours on the mornings of August 11, 12 and 13. With up to 60-100 meteors per hour predicted, observers may catch plenty of bright meteors streaking along in the light of the Moon." As an added treat, the Moon will be sweeping past Venus and Jupiter in the eastern predawn sky. While the meteors are certainly bright, they are typically not much larger than a grain of sand; however, as they travel at immense speeds, these tiny particles put on an impressive show. Due to the way the comet's orbit is tilted, dust from the Swift-Tuttle falls on Earth's northern hemisphere. Unfortunately, this leads to extremely low visibility for those in Australia, New Zealand and portions of South America. If you own a 6 or 2 meter SSB/CW transceiver, you can get in on the action, bouncing your signals off Perseid meteor trails and making quick meteor scatter contacts over hundreds of miles, and possibly even as much as 1200 miles. Meteor scatter operation is particularly easy on 6 meters where 100 W and an omnidirectional antenna will do the job. On 2 meters, a directional antenna (such as a multielement Yagi) usually yields better results. 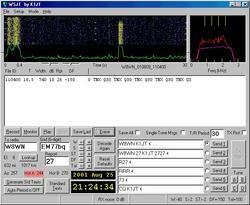 WSJT is digital meteor scatter software by Joe Taylor, K1JT. It is available for free downloading at K1JT's website. Some meteor scatter operators prefer to use SSB, making rapid exchanges of signal reports and grid squares. In recent years, digital meteor scatter has been increasing in popularity. With the free sound-card-based WSJT software suite by Joe Taylor, K1JT, it is possible to make digital meteor scatter contacts almost any time of the day or night, not just during annual showers. Most WSJT scatter operators use a mode known as FSK441 and center their activities on calling frequencies 50.260 and 144.140 MHz. They also announce their availability by using Web sites, such as N0UK's Ping Jockey Central. To get the most enjoyment while watching for Perseids, find a dark spot with an open sky view, bundle up thoroughly in blankets or a sleeping bag and lie back in a reclining chair. 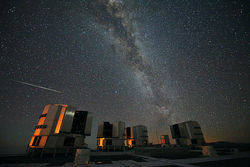 Spacedex.com recommends that once you have settled down at your observation spot, look approximately half way up the sky toward the northeast: "This way you can have the Perseids' radiant within your field of view. Looking directly up at the sky or into the radiant is not recommended since this is just the point in which they appear to come from. You are more likely to see a trail when looking slightly away from this point." Just gaze into the stars and be patient. Any light pollution will cut down on the numbers, as will the radiant's lower altitude earlier in the night. But the brightest few meteors shine right through light pollution, and the few that happen when the radiant is low are especially long, skimming the upper atmosphere and flying far across the sky. Not all the meteors in the sky are Perseids. In addition to occasional random, sporadic meteors, the weaker Delta Aquarid shower is also active during Perseid season. The Delta Aquarids are slower, often yellower and track away from a radiant point in eastern Aquarius. Weaker still are the Kappa Cygnids, identifiable by their flight direction away from Cygnus in an altogether different part of the sky. The Jet Propulsion Laboratory (JPL) confirmed that the rover Curiosity, after a 36 week space flight, landed successfully on Mars at 10:32 PM PDT on August 5 (0532 UTC August 6). Built by JPL and launched on November 26, 2011, the 2000 pound machine features something on its wheels that radio amateurs are sure to appreciate: Morse code. If you look carefully at Curiosity's wheels, you might notice that along with treads, there are square and rectangular holes that have an interesting pattern. According to JPL Rover Mechanical Engineering Team Manager Richard Rainen, these holes actually have a purpose: odometer markers. "We will be looking at the visual odometer markers that we have on the wheels," he explained in a video. "There are asymmetric patterns, actually holes, inside the wheels of the rover that will leave an imprint on the surface of Mars. We're going to be looking at these imprints and verifying that it has traversed the distance it expects to traverse. If it looks like it's not traversing, even though the wheels are going, that is an indication that the vehicle is getting stuck and it will stop and call back home." Read more here. On August 3, the ITU updated its Table of International Call Sign Series to reflect a call sign change for Niue. The island will now have the entire E6 prefix block. 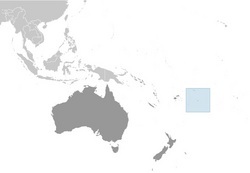 Niue -- an island located approximately 1700 miles northeast of New Zealand -- is a self-governing island nation that has been in free association with New Zealand since 1974. Prior to the change, the island used ZK2. According to the CIA World Factbook, Niue is about 1.5 times the size of Washington, DC, and has a population of almost 1300 people. If you enjoy the technical side of Amateur Radio and being on the cutting edge, you might want to take a look at the microwave bands. The weekends of August 18-19 and September 15-16 give you a perfect chance to explore this portion of the radio spectrum with the 2012 ARRL 10 GHz and Up Contest. The contest period for both weekends starts at 6 AM local time on Saturday and runs until midnight local time on Sunday. Points are awarded based on the distance of each QSO, and operating from several locations during the contest period is not only allowed, it's encouraged. According to ARRL Contest Branch Manager Sean Kutzko, KX9X, most participants use SSB, although some choose to operate using CW. "Power levels are relatively low compared to HF," he explained. "Most stations only run several hundred milliwatts, and a station running just a few watts is considered a 'big gun.' Antennas are usually dishes, such as those used for receiving satellite TV." Read more here. The boundaries, names and abbreviations for the four new RAC Sections, effective September 1, 2012. View a larger image here. 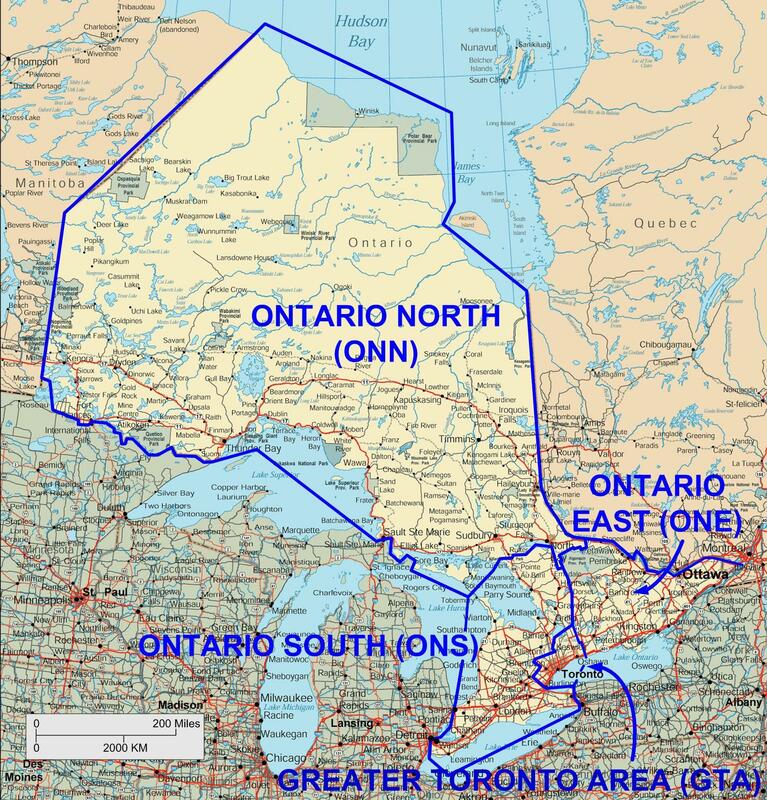 In March 2012, the Radio Amateurs of Canada (RAC) announced that it would split its Ontario Section into four new Sections "to create a management model that better communicates with, and represents the interests of, the overall Ontario amateur population." 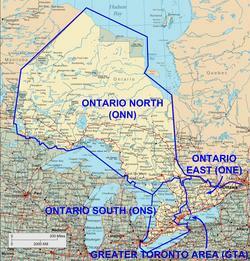 The new Section boundaries go into effect as of September 1, 2012. On August 8, RAC Chief Field Services Officer Doug Mercer, VO1DTM/VO1DM, announced the new Section boundaries, names and abbreviations. Read more here. On August 3, the FCC announced via a Final Rule in the Federal Register that the cost of an Amateur Radio vanity call sign will increase 80 cents, from to $14.20 to $15. The new fees take effect 30 days after publication, making September 4, 2012, the first day the new fee is in effect. Earlier this year, the FCC released a Notice of Proposed Rulemaking and Order, seeking to raise the fee for Amateur Radio vanity call signs. The vanity call sign regulatory fee is payable not only when applying for a new vanity call sign, but also upon renewing a vanity call sign for a new 10 year term. Read more here. Two years after Marvin Gin, W6VM, passed away on January 13, 2010, his call sign became available in the FCC's vanity call sign system and eligible for reassignment to those radio amateurs who hold an Amateur Extra class license. According to the FCC, Mario Vesnaver, W6EX, of Laguna Niguel, California, Steven Greathouse, AC6EA, of Akron, Ohio, and others "filed timely applications requesting modification of [their] amateur licenses to reflect call sign W6VM." Greathouse's application was randomly selected and granted on February 4, 2012. According to paragraph 32 in a 2006 Report and Order (WT Docket 04-140), whenever the FCC receives an application from more than one amateur on the same day requesting a vanity call sign, the FCC uses a lottery mechanism to select the first application to be processed. Via this method, Greathouse's application was the first one selected and he received W6VM. Vesnaver filed a Petition for Reconsideration with the FCC, requesting that the Commission review its decision regarding its assignment of W6VM. "When an amateur is initially licensed, the Commission assigns the station the next available call sign based on the licensee's geographic region and license class [as affirmed in WT Docket 09-209]" the FCC stated in denying Vesnaver's Petition. "You argue that Mr Greathouse's application should not have been granted because, at the time he requested call sign W6VM, he lived in Ohio, which is in the sequential call sign system's 8th call sign district." The FCC stated that when it adopted the rules for the vanity call sign system, it addressed whether a vanity call sign applicant should be limited to requesting only those call signs for the region where the licensee resides. The FCC chose not adopt such a restriction, noting in PR Docket 93-305 that "'the applicant's choice of vanity call signs would be reduced to ten percent or less of the call signs that would otherwise be assignable to the station. A limitation based upon the person's place of residence, moreover, could easily be circumvented by using a mailing address in another call sign region.' Other than a call sign in Alaska, Hawaii, the Caribbean Insular Areas and the Pacific Insular areas, the licensee of an amateur station with a mailing address in the United States may apply for any available call sign corresponding to an appropriate license class." 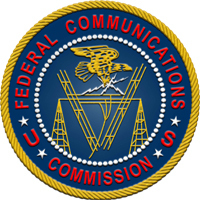 Based upon its procedures, the FCC concluded that its assignment of W6VM was "proper" and denied Vesnaver's Petition. Larry Pollock, NB5X, Chairman of the National Conference of Volunteer Examiner Coordinators, presided over the NCVEC's 27th annual meeting, held via teleconference on July 20. The meeting offered an opportunity for representatives of the VECs to discuss issues facing the volunteer examination program and interact with FCC staff members. Representatives from 13 of the nation's 14 VECs took part in the teleconference. ARRL VEC Manager Maria Somma, AB1FM, and ARRL VEC Assistant Manager Perry Green, WY1O, represented the ARRL VEC. Read more here. The Sun, as seen on Thursday, August 9, 2012 from NASA's SOHO Extreme Ultraviolet Imaging Telescope. This MDI (Michelson Doppler Imager) image was taken in the continuum near the Ni I 6768 Angstrom line. The most prominent features are the sunspots. This is very much how the Sun looks in the visible range of the spectrum. 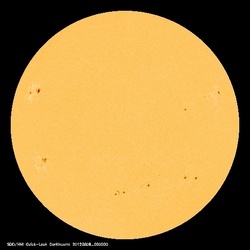 Tad "Sunrise, sunset" Cook, K7RA, reports: The average daily sunspot numbers rose more than 20 points this week -- or about 20 percent -- to 119.4, while the average daily solar flux was up 3 points to 134.7. Geomagnetic activity was quiet, with unsettled conditions around August 2. The NOAA/USAF prediction has solar flux at 130 on August 9-10, 125 on August 11-13, then 115, 110, 105, 90 and 95 on August 14-18, back up to 100 on August 19-20, then 110, 115, 120, 125, 130, 135, 140 and 145 on August 21-28, then 140 on August 29-31. The predicted planetary A index is 10 on August 9, 5 on August 10-18, 8 on August 19-20, and 5 on August 21-23, and 8 on August 24-25, and 12 on August 26. Look for more on the ARRL website on Friday, August 10. For more information concerning radio propagation, visit the ARRL Technical Information Service Propagation page. This week's "Tad Cookism" is brought to you by Sunrise, Sunset from Fiddler on the Roof. How often do you use EchoLink or IRLP? 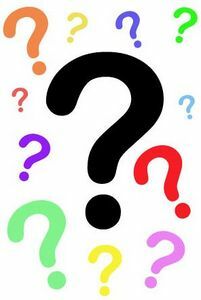 What is your favorite HF band? How many Amateur Radio books do you own? Do you prefer to send paper QSLs to your DX contacts directly or via the QSL Bureau system? Visit the QuickStats page and be sure to bookmark it in your browser. Results from this QuickStats poll will be published in the November 2012 issue of QST on the QuickStats page, located in the rear advertising section of the magazine. Along with monthly poll results, QST QuickStats offers colorful charts and graphs that highlight interesting Amateur Radio statistics.